Welcome to the 13th edition of our Featured Maps! I wanted to remind you all that we accept old map suggestions for this segment, so make sure to send us your old maps! Or even your friend’s or any map you’ve played and liked! We test everything we get sent, and even if we can’t promise that we’ll feature every map you send, there’s a high chance we will! This is a classic, well-designed map. It starts as your typical destroy the nazi base map, and what we like the most is that the progression is really good. It’ll start as a sort of easy map, but it definitely gets challenging as you progress. The map also has an interesting story (bit cliche maybe, but it works!) and a nice look-and-feel that goes well with it. You will definitely feel like you’re in a nazi sort of fort or castle. If you like that kind of aesthetic, this map is for you! This map is an arena designed to look like a desert! It’s set as both as a FFA and Team map, but we would recommend to play it as a team deathmatch, as the map is set to have two “bases of operations” with an arena in the middle. This is also a big map, so we’d recommend getting a big group to play it! The design is quite interesting, because it’s different from other desert or western maps we’ve seen. This is more of a futuristic or militaristic desert. I know, I know, it doesn’t make sense, but it will when you try it! This map is a homage to the original TF2 map, Turbine! As the original, it is designed for capture the flag, and it works really well as such! (But you can also play it as Team Deathmatch if you prefer). The map hides your flag really well, so you might have to do some exploring to know where the enemy’s flag is, and to take it back to your base. That just makes it more exciting, right? 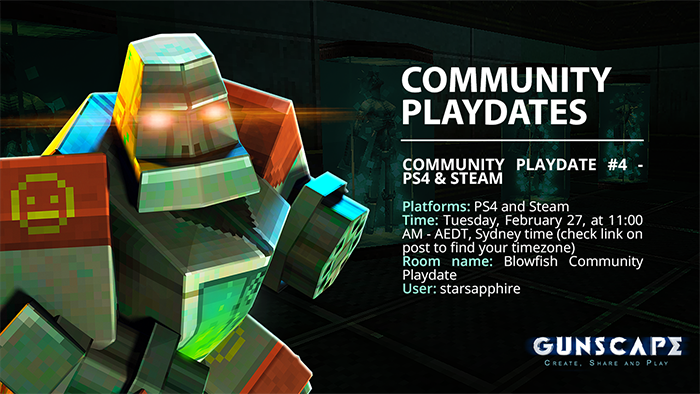 And if you like TF2 and its community maps, then you’ll like this one! This is a classic map, a bit of go-back-to-basics, and that’s what makes it good! It’s basically an arena that looks like a desert, with different areas and a few towers and buildings. You’ll find different weapons spread around the map, so if you want a better weapon than what you’ve got, then you might have to explore a bit. The towers offer good sniping spots and the map itself has good sightlines, but you can also bunker in one of the buildings if that’s more your style. Welcome to the 12th edition of our Featured Maps! We have quite a few co-op maps this week, and they’re all quite different, so you’ll find a lot of variety! Also a lot of new campaigns, which is exciting. Title: [LOOP] Star Wars Space Battle Diorama! Just a diorama for now, as the description says, but once again, if you like Star Wars, then you’re gonna like this one! It's basically the simulation of an epic Star Wars fight, and it's really well designed. You will really feel like you're in the middle of a battle or observing one! Another really good parkour map! This one isn’t only calculated jumps and evading obstacles though, as you will also have a few enemies that, while they can’t touch you, they will make it harder for you to jump from platform to platform. This is also a bit long parkour map so if you want a long one, this is for you. This map is the first part of what seems like it’s gonna be a good campaign! This map is mostly a set up, telling you the story, but it’s really well designed. It has quite a few npcs, and you can talk to all of them to discover more bits about the story. The design of the map and look-and-feel is quite good as well, as it will immerse you in the story even more. We’ll keep an eye on future updates! Welcome to the 11th edition of our Featured Maps! Sorry about the delay! It’s like we get more maps to test each time, so we ended up taking longer to test them! But better late than never, right? This map is all you want from a parkour map, good jumps, a good challenge, and no save points (which for us was hard, but if you want a real challenge, that is what you want). The design of the map might seem simple, but it works really well! And the parkour areas themselves are well calculated, as every jump you make has to be precise to be able to progress! This is an arena type of map, with a few rooms and high areas! What makes this map special is the amount of traps that it has! This map is fun because you won’t only have to fight your enemies, but also survive the environment! You will have to explore a bit to get weapons, as the map has different areas, and if you want the really good weapons, well you’ll have to try and avoid some traps (like chainsaws…) to be able to get them. The description of this map is that you went to bed after watching too many sci-fi and scary movies, and now you have to survive and wake up from this dream. 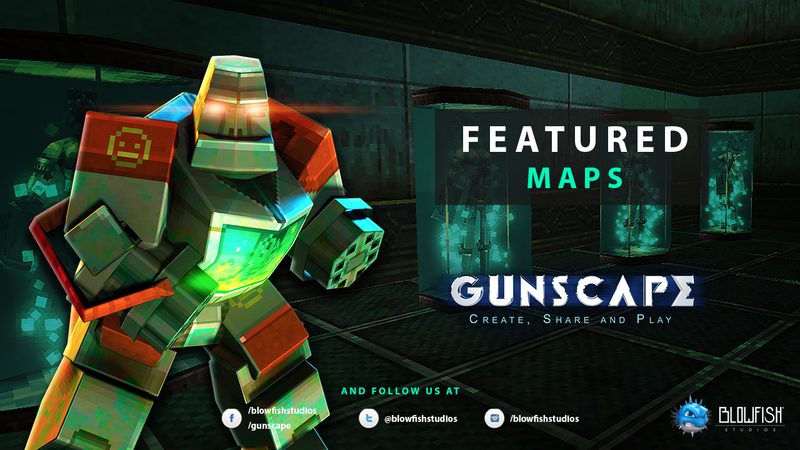 Just like the description, this map will look like the mash-up of a few sci-fi and adventure movies. It’s a bit of everything, so if you like maps that are a bit messy or unique in terms of look-and-feel, this will be for you! We'd also like to know if it'd be better to host these every 2 weeks? We'd like to play with a lot of you! Welcome to the 10th edition of our Featured Maps! We made it to double digits! Sorry about the delay, but we hope you're ready to try a few new maps! It looks like we're getting more and more maps to test with every new edition (both just created/updated and recommendations), and that’s exciting! At first glance, you might think this is just a small arena map, like the ones we see around all the time, but once you take the time to explore this map, you’ll realise it’s huge! And well designed as well! The map is comprised of a big cubic-like temple with two levels, an open arena in the middle, and a smaller temple opposite to the big one. You’ll find a few weapons dispersed all over the map as well, both outside and inside structures, so you might want to wander around. As some of LoopyFun’s maps, this map is a diorama, meaning that you won’t get enemies, but you’ll get a really well designed map to explore. This one is a homage to Star Wars, and specifically, to a certain area of the Death Star, the Hangar Bay 327! It’s a work in progress right now, but it already looks so much to the actual thing! You’ll find different areas in this map, and each one has its own charm, and of course, looks like the original! LoopyFun also said they could transform the map into an actual playable one if there’s interest, and we can say we’re interested ;) let them know as well! We’ve seen this scenario before: You’re working or going to work and then you suddenly realise that there’s something weird going on at work. That plot never gets old and this is one of those maps! 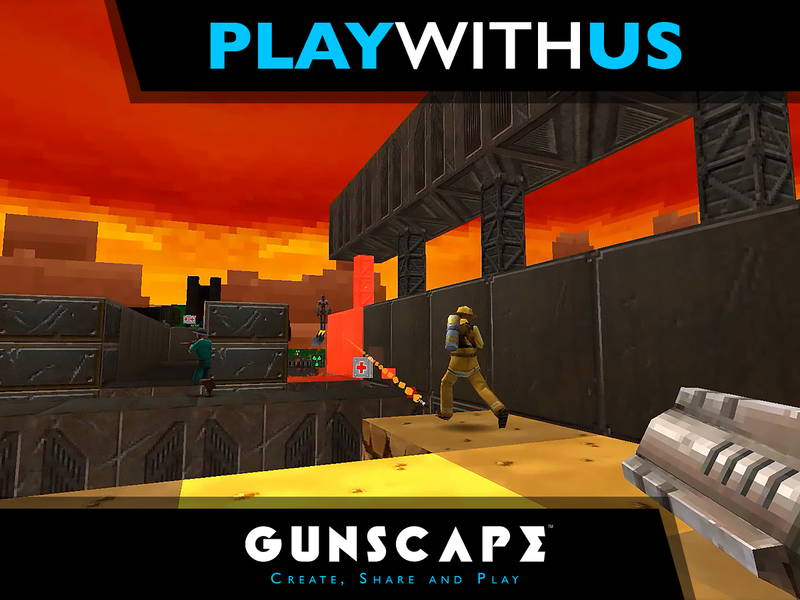 You’ll get enough ammo and weapons to be able to survive (and even more probably! ), but the map can be challenging! The design is also quite good, as it will remind you of an office, and it will immerse you in the plot. This map is basically an arena divided by a toxic waste pool. Each side mirrors the other one, and you get the same weapons and power ups, so it will depend on your team’s ability to win! These kind of arenas where crossing to the enemy territory is hard are getting quite popular, and we like them a lot. And this map is a good example of that idea well executed.